Earlier before now, there are been news regarding the upcoming Infinix HOTTest One android device. Here on TechsNG, we stated that the infinix HOTTest One will be unveiled this month being August. Yesterday, we shared the full specification of what we felt was the HOTTest one device even though we had not gotten an official specs report from Infinix mobility. Today the 18th of August 2015, the much anticipated Infinix Hot 2 otherwise known as the HOTTest One was launched at Land Mark event Center in Lekki, Lagos and TechsNG was present at the event. The event was no doubt, full packed. Apparently, what we guessed of the Infinix HOTTest one phone was right. It’s basically an upgrade to the Initial Infinix Hot X507 android phone and the initial specification of the device we had posted, was absolutely correct. Google teamed up with Infinix to bring alive, the Android One project in Africa which is aimed at producing very affordable android phones. 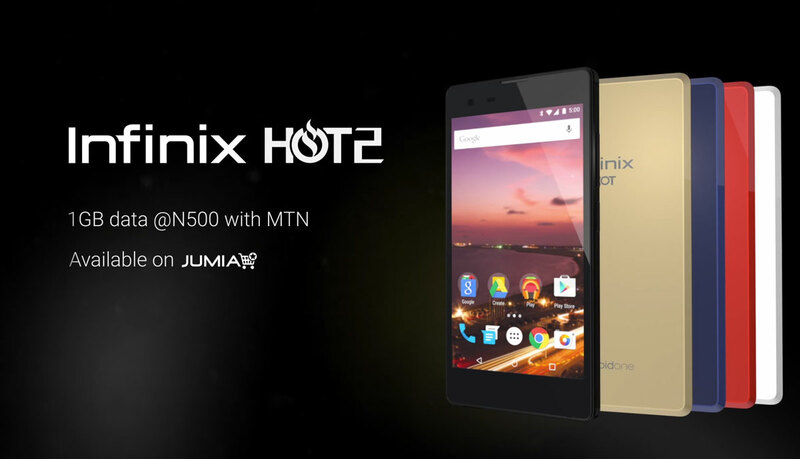 August 18, 2015 Lagos, Nigeria – Infinix Mobility has announced the launch of the new Infinix Hot 2 phone in collaboration with Google™ to bring high-performance, low-cost Android™ experience to Nigerians. The device, which is the first smartphone on the Android One™ program in Africa, will enable all users enjoy the latest version of Android with guaranteed software upgrades after release, premium hardware specs and a wide range of customized apps. The Infinix Hot 2 is made of glossy materials that give users a luxury experience. Its cutting edge style was precisely designed to fit in the palm of a user; its style, display and architecture gives it a unique design. There are two versions of the Infinix Hot 2, 16GB ROM+1GB RAM and 16GB ROM+2GB RAM. They both come with a 1.3GHz Quad-Core Processor and 16GB internal memory. The smartphone has a 2200mAh battery that allows users to enjoy the device for longer hours. Powered by a Mediatek 1.3GHz Quad-Core Processor and a 2GB RAM, users can play 3D games on the Infinix Hot 2 in addition to an extraordinary experience while watching videos in high-definition (HD). The device runs on Android Lollipop and there will be automatic update to the latest version of Android when it becomes available. Speaking in the same vein, Caesar Sengupta, Vice President, Product Management at Google expressed delight at Infinix Collaboration with Google. According to him, “Google is pleased to collaborate with Infinix Mobility on Android One — a program designed to help bring high-quality, low-cost Android devices to emerging markets. We’re looking forward to working with Infinix Mobility to empower the next billion people” . As with other phones running the latest Android Lollipop, users of the Infinix Hot 2 can automatically enable the new battery saver feature to extend battery life by 90 minutes. Users can also see the estimated time left before they need to recharge. And when charging, they can also see the estimated time for the battery to become fully charged. The operating system offers users more control over data usage by offering a two-quick swipe control to turn data on or off; they can also easily check data usage. The Infinix Hot 2 also comes with a 5.0 inch display and high-definition (1280 x 720 pixels) resolution that provide users with enhanced gaming and video experiences, allows users to read and respond to messages directly from the lock screen and provides quick access to tools like the flashlight, Bluetooth, WI-Fi, and more- also standards available on the latest Android Lollipop. Infinix Hot 2 has an 8.0 MP rear camera in addition to 5P Lens and 2MP front-facing camera. The metal camera decorative design makes the camera a bright spot on the back. It comes with true flash+ BSI. And even in dark light, users can still capture best shots. Camera not only allows you to take photos of things and people you love but also of you through the front camera. Infinix Hot 2 also comes with a beauty face option which captures a portrait and automatically adjusts the photo to create a more visually pleasing photo, making face smoother and brighter. Exclusively available on Jumia.com No.1 African e-commerce retailer for ₦ 19,500 (2GB RAM Version). MTN, Nigeria’s largest telecommunications company, is also offering users of the Infinix Hot 2 1GB high speed data at N500 for 12 months by sending A1 or AONE to 131 to activate the data offer. Google, Android and Android One are trademarks of Google, Inc.